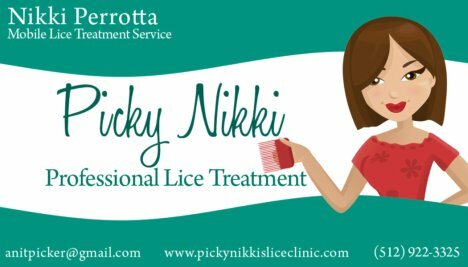 Picky Nikki gets rid of head lice completely ... guaranteed! I get it right the first time. I'm really proud that my clients don't come back. They don't have to! I'm Nikki (also known as Picky Nikki). I'm a mom who's been there with my own kids. I learned through experience exactly how to deal with head lice. Then I started my service to help other moms! I'm an expert at removing head lice, and I treat each and every client personally. I love my job - I love giving parents peace of mind that their child's head lice is truly gone. To me this is fun work; I really enjoy it. will be lice-free once I am finished. 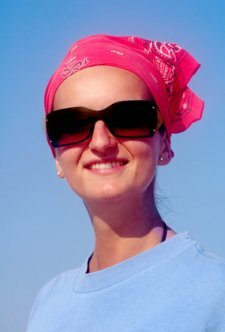 Based in Austin, I'll travel to your home, head-check everyone in your household, and rid you of head lice in one visit. Contact me today - I'm ready to help you. I know how eager you are to get rid of the head lice. We can arrange an appointment very quickly. I will come to your home and carefully check the head of each person in the household for lice and nits. 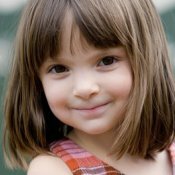 The cost for a head check is $25, which will be applied to the cost of treatment if lice and/or nits are found. I offer a full guarantee that everyone in the household who had lice will be completely lice-free when I'm finished. Your child will be smiling again in no time! removes lice completely with a full guarantee to back it up.